Ceramic tiles are naturally made from mixing clay with water and heating it till a flattened product is formed. The versatility of ceramic makes it the ideal choice for covering all surfaces — from the living room to the kitchen backsplash. Creating different looks is an easy task with ceramic tile play. Large slabs: A concept that Italians are well acquainted with are large tile slabs. The approach to define large, is however changed. Tiles as large as 5 by 10 are now available. These are suitable for covering counter tops or the floor. Small scale manufacturers are also turning to producing large tiles and the maximum size they offer is 4 feet. When large slabs are used, the space feels minimalistic. Grunge: The industrial concept of grunge has made a huge comeback. Many cafes and watering holes are adopting the concept of industrial. The walls are bare, with exposed walls and plumbing while the floor is nondescript concrete. 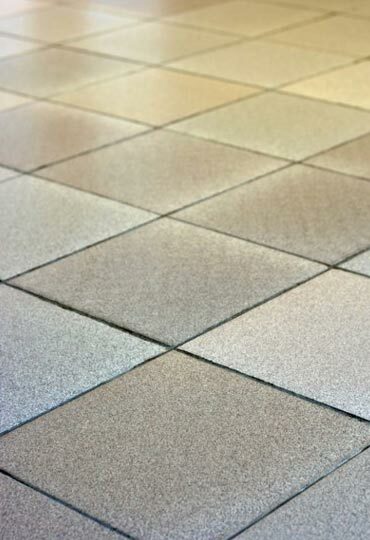 Since concrete surfaces are hard and unsuitable for homes, ceramic tiles in a similar shade is the ideal alternative. Textured: Adding a new dimension to any living space makes it enigmatic. To create a new dimension or texture, either the tile lay or tile surface dynamics is altered. Ceramic tiles suppliers exclaim that here now are tiles available with 3 dimensional folds: embossed geometry, brush hammed concrete and charred wood. Turn it Gray: If black is too radical and white is boring, gray is the middle ground for you to play it safe. The trend of gray tiles began in 2015 and is going strong. A modern designer’s favorite pick, gray adds accentuated highlights. Choose from a range of cool tone of slate to darker beige and gray. Faux wood: If you seek earthy elements, there is nothing beyond wood. Wood is sturdy but is susceptible to rotting. Stains are hard to erase from these porous surfaces. If wood is what you want but can’t maintain, ceramic tiles in similar tones are your go-to. The choices are endless and confusing. You can choose from the detailed color variations to grainy textured tiles. Ceramic tiles are also available in a shade similar to oxidized metal. When these are included in waiting areas of offices, a modern twist is added to otherwise mundane work space.